for the latest on new books, author links, what I've read, and upcoming programs at the library! 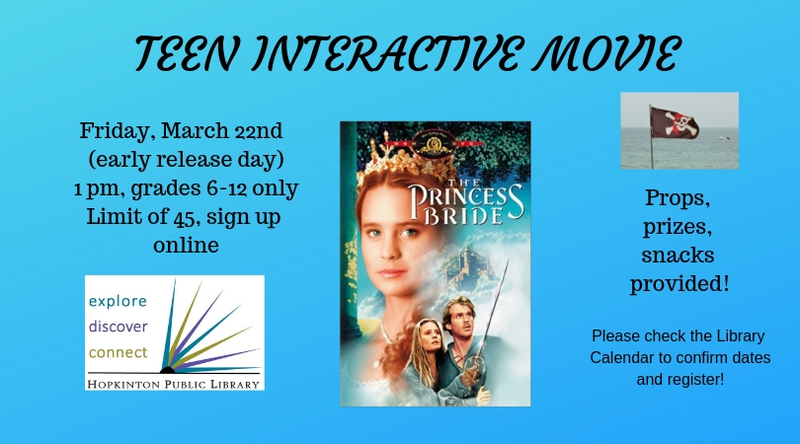 Teens and tweens - drop by, introduce yourselves, and ask for recommendations! Tell me your favorite books, authors, series, games, movies, shows, and music - help me get to know what you would like in your library! I just finished reading: One of Us is Lying, The Leaf Reader, and The Gentleman's Guide to Vice and Virtue, to name a few. Read in the past year: Zenn Diagram, Shadowcaster, Count All Her Bones, and so many more! Can't wait to read: Firebrand, A Million Junes,Our Dark Duet, and a pile of others!